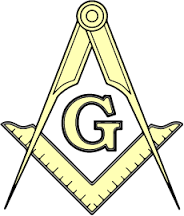 Photo Gallery – Mount Vernon Lodge No. 219 A.F. & A.M.
Mount Vernon Lodge No. 219 installation of officers for 2019. On March 12, 2016, we celebrated our annual Ladies Night at the Cedar Knoll restaurant in Mount Vernon. On June 16, 2016, Bro. Charles Cleveland presented the Robert C. Hutton Memorial Scholarship to Dr. Terrell, the Principal of Mount Vernon High School, in honor of Ms. Norma Pacheco. On June 24, 2016, we held a Life Line health screening event at the lodge. We had great turn out as 81 folks from the local community were screened. On Saturday, June 25, 2016, our lodge hosted the Mount Vernon Summer Flea Market. The National Sojourners Old Dominion Chapter 364 and the Light Horse Harry Lee Camp, Heroes of ’76, made our July 2016 stated communication memorable. Their flag presentation and narration was conducted with sincerity and dignity, and filled our hearts with pride. On September 24, 2016, we had our annual cookout. Bro. Cleveland and the kids planted grapes and raspberries.